Avoid exercising to the point of pain or exhaustion. Lack of exercise is a risk factor for a host of health problems, including cardiovascular disease, diabetes and obesity, but too much exercise can cause health problems as well. Whether two hours of exercise a day is too many for you depends on several factors, including the type of exercise and how fit you are. It also depends on whether you control your exercise or it controls you. The Centers for Disease Control and Prevention, or CDC, says adults need 2 1/2 hours of moderate-intensity aerobic exercise or 1 1/2 hours of vigorous-intensity exercise each week -- not each day -- for health benefits. Walking, water aerobics and pushing a lawn mower are moderate-intensity aerobic exercise; jogging, swimming laps and playing basketball are vigorous-intensity aerobic exercise. The CDC also recommends two or more days a week of strengthening exercises that work all major muscle groups. 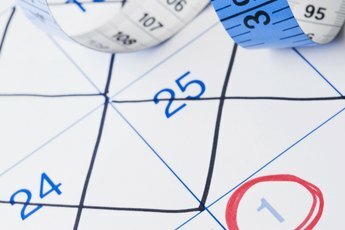 If you are just beginning an exercise program, two hours a day may be too much. At best, you might lose your motivation. At worst, you could hurt yourself. Be honest with yourself about your physical fitness. After getting your doctor's OK, start slowly and build up your time gradually. The benefits of exercise accrue with time, so sticking with it is more important than exercising more on any given day. A two-hour session of vigorous-intensity exercise is very different from two hours of moderate-intensity exercise broken into several shorter sessions throughout your day. Use caution when starting a new kind of exercise. Listen to your body and do not work yourself to the point of exhaustion or pain. Your body needs rest for your muscles to recover from exercise. Work rest breaks and rest days into your schedule to allow your body time to heal. Compulsive or obligatory exercisers routinely exercise to the point of exhaustion, and refuse to miss sessions even when injured or sick. Exercise becomes more important than family, work and friends. Obsession with weight, diet or athletic performance is also a sign of exercise addiction. Santa Clara University says the body produces substances similar to morphine in response to regular strenuous exercise. Although it is not yet proven that physiological addiction occurs, psychological dependence is very real, leading to feelings of anxiety and guilt when exercise is missed. As with most things in life, moderation is key. Exercise enough for good health and make it a habit. Be mindful of your body’s response to the type and amount of exercise you do. Above all, find enjoyment in your physical activity, and make it a part of a balanced life. U.S. Centers for Disease Control and Prevention: How Much Physical Activity Do Adults Need? Laurel Heidtman began writing for her hometown paper, "The Harrison Press," in 1964. In addition to freelancing she has worked as a police officer, a registered nurse, a health educator and a technical writer. She holds an associate degree in nursing, a Bachelor of Arts in English and a Master of Technical and Scientific Communication from Miami University of Ohio. 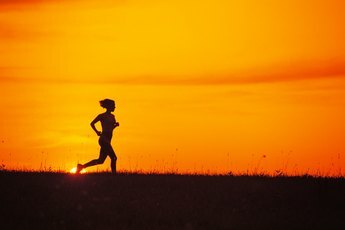 Does Working Out at Night Help Burn Fat? Is Burning 1200 Calories a Day on an Elliptical Enough for Weight Loss? Are Aerobics the Best Kind of Exercise? How Much Weightlifting & How Much Cardio Exercise? 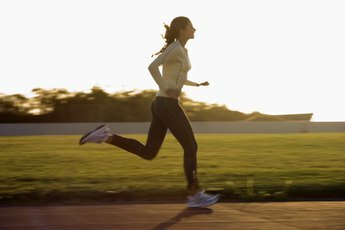 Does Cardio Exercise Boost Your Immune System During Exercise? Why Can Exercise Make You Irritable? What Causes a Lack of Energy & Weakness During Workouts? What Is the Relationship Between Motivation & Achievement Goals in Exercise? Does a 1/2-Hour Workout Help You Lose Weight?